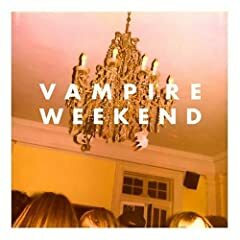 Vampire Weekend's self-titled debut album has been getting much deserved love from blogs and mainstream media alike, and sees its US release tomorrow. Interesting reissues include a two-disc deluxe remastered edition of Beck's Odelay along with six remastered Van Morrison albums, each with bonus tracks. What new releases you picking up this week? What can you recommend? Have I left anything worthwhile off the list?